Marble House Project is heading south for an evening of innovative food and wine in the beautiful garden of the Greenwich House Music School. Help us crown a winner for our first ever Small Plate Competition created by our three amazing guest chefs. 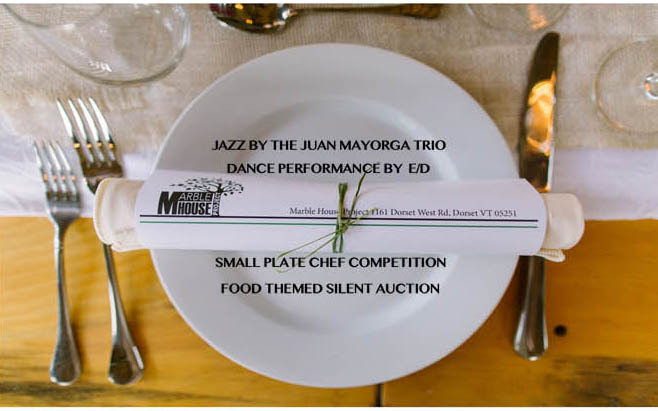 Enjoy live music by the Juan Mayorga Jazz Trio, a dance performance by E/D and bid on the many wonderful items in our food-themed silent auction. Winston Chiu, Bonbits co-owner and chef. Andrew Gerson Head of culinary programming at the Brooklyn Brewery. Brandon Byrd formerly of Dinnerlab and Momofuku Group and currently chef at Between the Bread.